1. 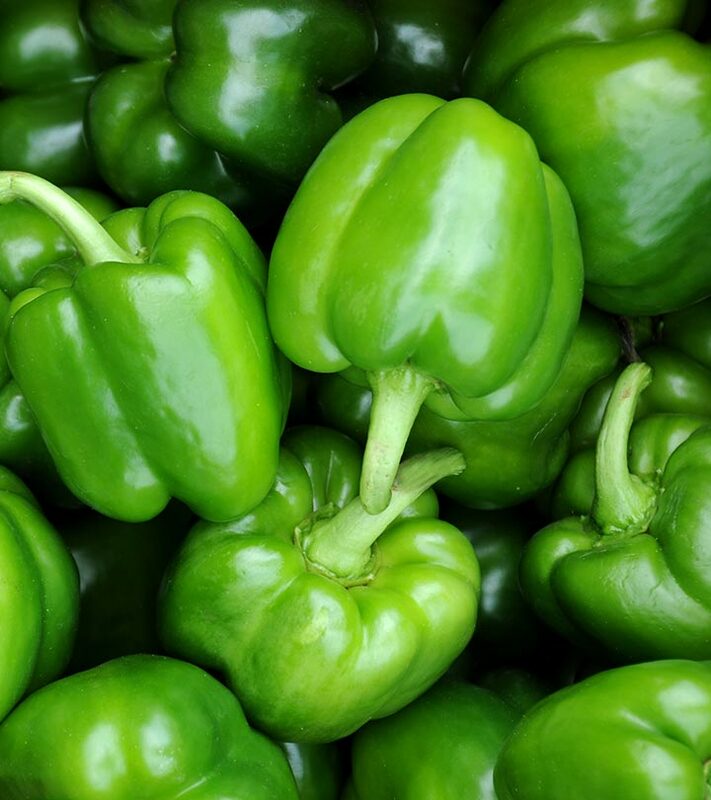 Green pepper is a very powerful antioxidants. They contain plenty of vitamin A, B Complex (especially vitamin B6 and B9), and C, which are able to counterbalance the destructive effects of free radicals in our body and maintain our overall health. 2. The anti-inflammatory properties of green peppers are extremely favourable in relieving the pain and swelling associated with severe bone disorders like osteoarthritis, rheumatoid arthritis, etc. 3. Asthma patients can be highly benefited by green peppers as they are full of phytonutrients, a special group of plant compounds (basically natural chemicals) having the capacity of relaxing respiratory passage and lowering panting. Phytonutrients are also known to promote better overall health of human beings. 4. Green chili pepper can curb down the cardiovascular risks dramatically. The reason behind it is the presence of loads of vitamin C. It has been found that the amount of this antioxidant vitamin is much higher in green peppers than in oranges, which is essential for preventing blood clots as well as related ailments like cardiac arrest, stroke, etc. 5. Vitamin B6 and vitamin B9 content of green peppers take active part in reducing the level of homocysteine in our body. Being a noxious by-product of various internal biochemical procedures, it can take a toll on our health. 6. When it comes to taking care of our colon, nothing is better than dietary fibers and green peppers are loaded with these. If you increase your intake of green peppers along with healthy diet, you can easily safeguard your colon from the damaging effects of microbes as well as toxic elements. 7. Apart from maintaining colon health, green chili peppers also play an important role in lessening the risks of colon cancer. The antioxidants vitamins (A, B9 and C) are considered as the main responsible factors for this. 8. As said before, green peppers contain high amount of vitamin B6, which is one of the most vital nutrients for our body. From improving our immunity to keeping our nervous system up, it can regulate a number of bodily functions effectively. 9. Being rich in calcium, green peppers can keep our bone and teeth strong and healthy. It can even aid in maintaining our oral health greatly. 10. The antioxidant properties of green peppers make them super effective against oxidative damages caused by free radicals. Different antioxidant vitamins, especially vitamin C, present in this type of bell peppers can facilitate the formation of collagen in our skin in order to keep it firm and healthy as well as create a barrier to more damage. 11. Regular consumption of green pepper juice is very useful in combating all signs of ageing and keeping our skin healthy forever. 12. 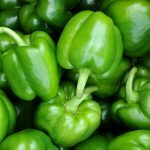 The phytonutrients content of green peppers is very effective in curing rashes, blemishes, acne, and other skin infections. 13. Certain infections like athlete’s foot, herpes zoster, etc. can be treated with green peppers due to its anti-bacterial and anti-fungal properties. 14. Green peppers are excellent source of natural silicon, which is very beneficial for our hair. 15. When we include green pepper juice in our daily diet, the blood circulation is increased significantly throughout our scalp and hair roots. It works as a natural hair growth stimulator and helps us get long hair fast. 16. The major problem of hair loss can easily be solved with the help of green peppers. They can save our hair follicles from the harmful effects of di-hydrotestosterone (DHT). As a result, our hair becomes strong and we get rid of frequent hair fall. 17. If you are suffering from split-ends, green peppers can help you very much. It comprises lots of vitamin C, which facilitates the absorption of iron by hair cells and provides enough oxygen to them. It is necessary for preventing the breakage or split of each of our hair strands. All you have to do is simply include green peppers in your diet chart and enjoy its benefits.